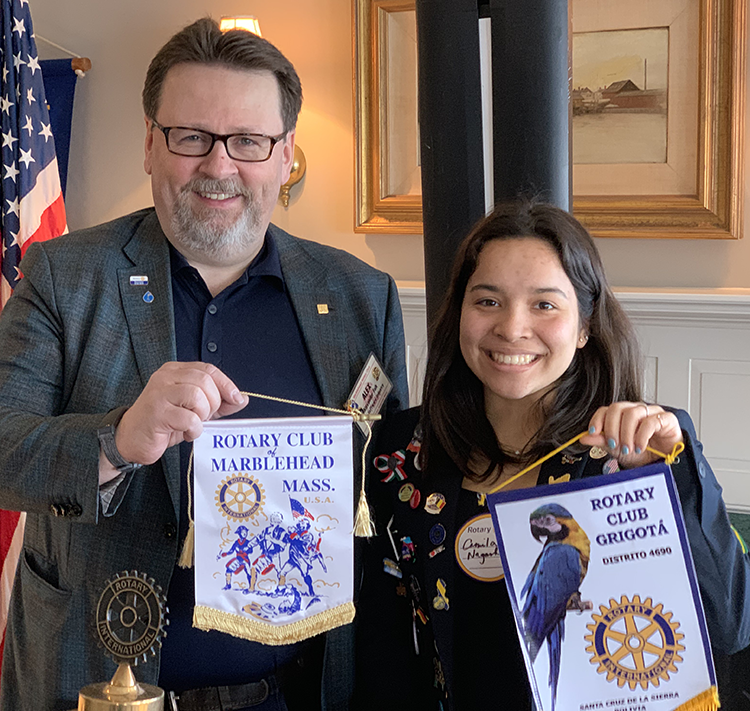 Camila Nagashirom, Rotary Youth Exchange student from Bolivia, swapping Rotary Club Flags with Alexander Falk. Camilla was sponsored by Rotary Club, Grigota, Bolivia. She has been a wonderful addition to the Marblehead community we are grateful to have her with us.